What approach does your study guide take to Daniel and Revelation? 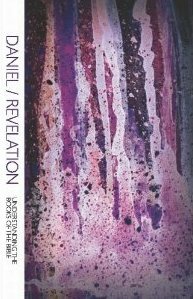 Thank you for your interest in the Daniel-Revelation study guide. Let me mention first that the guide is available for free download at this link. The book of Revelation is interpreted in four major ways. The futurist approach understands it to be a description of the events of the “end times,” at the end of human history. (Works like the novels and movies in the Left Behind series follow this approach.) The historicist view sees the book as a prediction of the whole course of history, from Jesus and the apostles down through the present to the end of the world. The idealist interpretation is that Revelation depicts the struggles and triumphs that followers of Jesus will experience everywhere, but it doesn’t have any particular place or time in view. The preterist approach is to try to understand the book by reference to the time and place it was written in—western Asia Minor towards the close of the first century. This study guide will consistently pursue a preterist interpretation. If this is new for you, and you’re used to hearing the book treated differently, just try to keep an open mind and look for the potential benefits of this approach as you and your group do the sessions together. The idea of a “millennium” or thousand-year reign of Christ has been an inspiration to followers of Jesus throughout the ages. Many have expected a period of universal peace and justice to arrive on earth through social reform, education, and reconciliation efforts spearheaded by Jesus’ followers. (This expectation fueled crusades for the abolition of slavery, public education, the vote for women, temperance, pacifism, an end to child labor, etc.) Others have held that only the Second Coming of Christ could definitively bring about such a period. And still others have understood the millennium spiritually, as a picture of Christ’s reign in heaven and in the hearts of believers. Which of these views is closest to your understanding? (If you’ve never thought about this before, take some time to decide.) What positive value do you see in the other views? What “action steps” does each of these views call for? • Why do you think God allows so many of his followers to be killed by those who oppose him? Does God see some positive value in their deaths? • Would you want to be a follower of Jesus if you knew it could cost you your life? If your answer is yes, why would it be worth it to die for him? Thank you again for your interest, and I hope you’ll have a look at the guide. Author Christopher R SmithPosted on January 27, 2019 Categories Bible: InterpretationLeave a comment on What approach does your study guide take to Daniel and Revelation? Are we literally supposed to be able to move mountains by faith? Q. Something Jesus said has always been a bit troubling to me. He told his disciples once that they hadn’t been able to cast out a demon “because you have so little faith.” Then he added, “Truly I tell you, if you have faith as small as a mustard seed, you can say to this mountain, ‘Move from here to there,’ and it will move. Nothing will be impossible for you.” I have to say I certainly believe I have faith and strive for it, but I’ve never quite been able to make a mountain jump. That said, I have not noticed anyone else making mountains jump either. Are we to assume that no one currently on earth has the kind of faith needed, or was this a parable not to be taken literally? This device was attention-grabbing, and I think one thing that made it memorable and effective was that listeners were indeed left wondering whether to take it literally, and if not, what it actually meant. I think the main point here is the contrast between small faith and a great mountain. That last thought relates to the question of why Jesus told the disciples they couldn’t cast out the demon because of their little faith, when only the tiniest bit of faith is required. Did the disciples really not have even a minuscule amount of faith? No, I think we’re supposed to ponder this issue that the statement raises as well and realize that the question isn’t how much faith we have, but how much power God has, who is the object of our faith. We can then put our faith to work and trust God to address any situation where his great power is needed to advance his purposes. Author Christopher R SmithPosted on November 21, 2018 Categories Bible: InterpretationLeave a comment on Are we literally supposed to be able to move mountains by faith? Author Christopher R SmithPosted on November 8, 2018 Categories Bible: Interpretation2 Comments on Are the heavenly beings in conflict with one another? Who are the “sons of God” who take part in the divine council? This is the second in a series of posts in response to a multi-part question. Part 2 of the question: Who are the “sons of God” who take part in God’s divine council? We hear in the book of Job that they meet and Yahweh delegates tasks to them. Later in the book it mentions that they were there at creation of the universe. In Psalm 82 the council members are called “sons of the Most High.” Moses says in Deuteronomy, “When the Most High gave the nations their inheritance . . . he fixed the borders of the peoples according to the number of the sons of God. But the Lord‘s portion is his people, Jacob his allotted heritage.” This sounds as if Yahweh took particular care of Israel but assigned the other nations to different “sons of God” at this time. This would make sense to me if they were part of the divine council. But who were they, exactly? I think the best way to begin addressing this part of your question is to return the article by Dr. Michael Heiser that I discussed in my first post, “So What Exactly is an Elohim?” There it is explained that the authors of the Hebrew Bible shared the ancient Near Eastern viewpoint that the heavenly beings met in a council to decide the affairs of the universe. However, the biblical authors transformed this viewpoint in significant ways. Most importantly, while they called all of the participants in the council elohim because of their “plane of existence”—that is, these elohim were all inhabitants of the spiritual realm—they saw an essential difference in “attributes of being” between Yahweh and the others. The others were not self-existent; they were creatures. Yahweh, by contrast, had always existed, and as a matter of fact he had created all the others. This gave Yahweh infinitely greater power and glory, and so he was the uncontested ruler over the divine council. This was a second important difference between the biblical view and that of the surrounding cultures, which envisioned a perpetual struggle for supremacy within the council between various gods of roughly equal power. also your faithfulness in the assembly of the holy ones. For who in the skies can compare with the Lord? God is revered in the council of the holy ones. He is to be feared more than all who surround him. Here we see Yahweh depicted as the sole Creator, establishing the realm of human habitation (the one relevant to Job) by setting the boundaries of sea and land. The “sons of God,” created some time prior and described as the “morning stars” in a poetic parallel, are looking on and rejoicing. They are subordinate and supportive. And this gets at the essential meaning of the phrase you are asking about. These heavenly beings or elohim are not actually “gods,” but “sons of God,” that is, they are his creatures. The phrase (sometimes found in equivalent forms such as “sons of the Most High” in Psalm 82) is being used in a different sense from the way that Jesus is described as the “Son of God” who shares God’s very essence—his “attributes of being,” if you will. It’s also different from the way that believers in Jesus become “sons of God” by adoption. It means that these are created but supernatural beings who are supposed to assist God in the administration of the universe. You noted, for example, that the book of Job portrays them reporting regularly to God about their assigned tasks. As you also noted, Deuteronomy suggests that various “sons of God” were made responsible for the different nations at one point. But I don’t think this means that God wanted those nations to worship these beings. I noted last time that this whole matter of the divine council is an area about which the Bible gives us very little information, and so we need to be careful not to speculate. However, it seems possible that the “sons of God” who were made responsible for nations accepted and perhaps even demanded their worship, and that this had destructive consequences for which they were judged. This may be the judgment described in Psalm 82. I’ll address that issue in my last post in this series. But in the meantime, I think we can conclude to this point that in some way that the Bible doesn’t tell us very much about, there are created supernatural beings who assist God. The ones we hear the most about are angels (whom the Bible may describe as elohim at at least one point). However, I wouldn’t want to develop an elaborate theology about this or try to figure out exactly what’s going on in the spiritual realm. I would recommend instead that we find encouragement in the idea that there may be many more forces at work to further God’s interests than we often realize, and so contribute to that work ourselves with renewed confidence and energy. 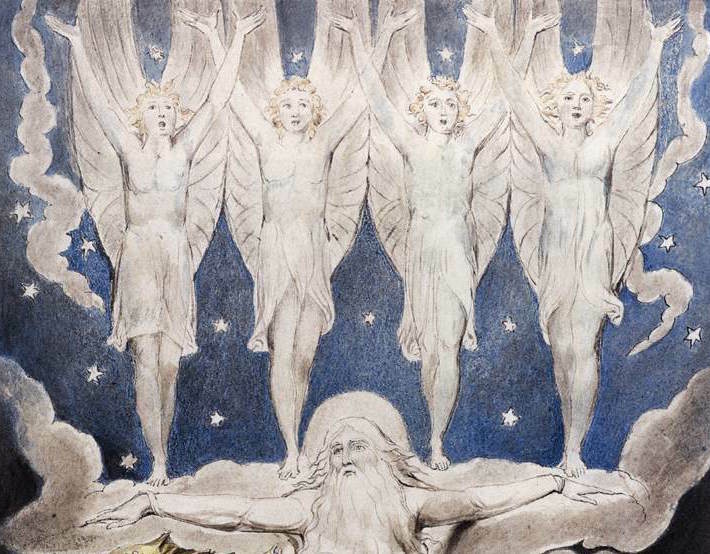 William Blake, “When the Morning Stars Sang Together” (detail). Author Christopher R SmithPosted on November 4, 2018 November 8, 2018 Categories Bible: Interpretation2 Comments on Who are the “sons of God” who take part in the divine council? Author Christopher R SmithPosted on November 2, 2018 November 8, 2018 Categories Bible: Interpretation2 Comments on What is the “divine council” or “assembly of the gods” described in the Bible? Q. I’m teaching a Bible overview course on the Old and New Testaments. Please help me understand the progression of the teachings from Jesus and the apostles to Paul. How do they complement each other, and how do they differ? Thank you. In my first two posts in answer to this question, I suggested that Jesus, and the apostles after him, transformed the dualistic idea of the “kingdom”—you were either in or out—to mean a community that was open to everyone, that was based on faith, and that was a present as well as a future reality. In my third post, I suggested that Paul similarly transformed another dualism. He redefined “flesh” and “spirit” as ways of life rather than parts of the human person; he taught that the human body did not have to drag down the spirit but could become an instrument of “spiritual worship”; and he cautioned that life in the Spirit was not entirely a present reality and so people should continue to respect propriety in their bodies. In this final post, I’d like to show how three New Testament books that seem to come from divergent theological streams—the Gospel of John and the books of Hebrews and Revelation—actually express a vision that’s harmonious with the one Jesus and Paul convey by transforming these two different dualisms. Interestingly, Jesus’ dialogue with Nicodemus is the one place in the Gospel of John where the phrase “kingdom of God” appears. But as Xavier Léon-Dufour observes in To Act According to the Gospel, “In this passage, the term signifies not the ‘reign [that is] coming,’ but the ‘kingdom’ into which one enters, that is, ‘eternal life'” (brackets original). Dufour therefore asks, “What, then, is the Johannine equivalent of basilea tou theou in the sense of the ‘reign of God’?” He notes that some have seen the concepts of “life” and “light” as the equivalents, but he suggests that “while the coming of the reign of God constitutes the central message of the Synoptics, the Johannine text is organized around the idea of the ‘one sent from the Father'” (p. 31). So the equivalent of the kingdom of God breaking into the present is the Son of God coming from above to here below. This represents a transformation of how the above/below dualism was conceived by others at the time, particularly those in the stream of thought that would coalesce into Gnosticism. An epigram attributed to Hermes Trismegistus, a foundational figure within that stream, says, “As it is above, so it is below.” What this means may be illustrated by a saying attributed to Jesus in the Gospel of Thomas (which certainly displays proto-Gnostic influences): “I am the light that is over all. I am the All. The All came forth out of me, and to me the All has come. Split a piece of wood—I am there. Lift the stone, and you will find me there.” In other words, there’s actually no distinction between the “above” and the “below”; if we could just see through physical objects, we would recognize that the spiritual is immanent in them. However, this dualism between the true heavenly ideal and the earthly copy or shadow is transformed in much the same way that the Gospel of John transforms the above/below distinction—except that the motion is in the opposite direction. Hebrews emphasizes how Jesus went from below to above: “Christ did not enter a sanctuary made with human hands that was only a copy of the true one; he entered heaven itself, now to appear for us in God’s presence.” And because Christ has gone before us to show the way, we can aspire to follow after him. The author says that the heroes of the faith were “longing for a better country—a heavenly one. Therefore God is not ashamed to be called their God, for he has prepared a city for them.” So once again it becomes possible, as a result of the transformation, to move in actuality between the “below” and the “above,” not just in philosophical contemplation or esoteric learning. Interestingly, the heavenly city of Hebrews is both present and future, both here and there. On the one hand, the author says, “Here we do not have an enduring city, but we are looking for the city that is to come.” On the other hand, the author says, “You have come to Mount Zion, to the city of the living God, the heavenly Jerusalem.” This captures the “already” and “not yet” aspect of the kingdom of God as Jesus proclaimed it. An important difference between Revelation and Hebrews is that in Revelation, the opposite of “true” is “false” rather than “copy.” At the beginning and end of the book, Jesus is identified as “Faithful and True.” By contrast, we hear in between about false apostles and a false prophet who deceive people who aren’t faithful to Jesus, and before we glimpse the heavenly city of Jerusalem, we see a grotesque vision of the earthly city of Babylon, which “led all the nations astray by her magic spells.” The challenge for readers of Revelation is not to distinguish earthly copies from heavenly originals, but to distinguish false influences and illegitimate rulers from true ones here on earth. I hope these reflections have been helpful to you. I recognize that they are not comprehensive or systematic, but I hope they may nevertheless point you in some directions that will be fruitful for your own thinking and teaching. Thanks again for your question. In my first post in response to this question, I suggested that Jesus’ teaching represented a “transformed dualism.” His Jewish contemporaries envisioned a world in which people were either in or out of a kingdom that was the possession of a particular ethnic group, that was based on law-keeping, and that was expected in the future. Jesus replaced that vision with one in which people were either in or out of a kingdom that was open to everyone on earth, that was based on faith, and that was already present, in addition to being expected in the future. In my second post, I showed how the apostles came to share and confirm the understanding of the “kingdom” that Jesus had presented. In this post I’d like to show that the teaching of Paul constitutes the transformation of a different dualism, but that it ends up articulating the very same vision of what God is doing in the world with the coming of Jesus. However, because Paul also moved in Greek circles—he was uniquely equipped to be the “apostle to the Gentiles” because he was trained in Greek language, culture, and philosophy in addition to being educated as a rabbi—he expanded the discussion to address a further dualism. Greeks thought in terms of a distinction between spirit and matter. They envisioned people as spirits that had trapped in physical bodies. 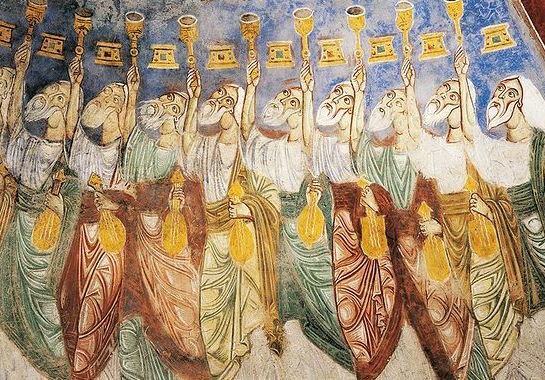 These spirits would ultimately be released at the time of death, but in the meantime people needed to do everything they could to overcome being dragged down from the heights of spiritual experience by their bodies. For example, they might attempt, through ascetic practices, to mortify their bodies to weaken their influence, or they might try to empower their minds and spirits through knowledge and philosophy or through visionary experiences. Paul’s teaching that the “flesh” and the “Spirit” are two ways of life, while dependent on Greek conceptions, actually enabled him to answer a question that arose from the discussion within Judaism about faith and the law: If people are not required to keep the law, but simply to have faith, what’s to keep them from running wild? Paul explains, once again in Romans, that the “righteous requirement of the law” can be “fully met in us, who do not live according to the flesh but according to the Spirit.” “The mind governed by the flesh is hostile to God,” he says; “it does not submit to God’s law, nor can it do so.” But “those who live in accordance with the Spirit have their minds set on what the Spirit desires,” and so they spontaneously do what the law requires—not just avoiding what it says to avoid, but doing positively the good things it is designed to promote. In my final post in this series, I’ll discuss how the gospel and letters of John and the books of Hebrews and Revelation, though they seem to reflect divergent theological streams, nevertheless contribute to a harmonious New Testament understanding of these issues.